Beginning in May, supported by the Jonathan M. Tisch College of Citizenship and Public Service at Tufts University, I embarked on a mutually inclusive personal and journalistic mission to recap Hurricane Katrina, her aftermath, and New Orleans' pothole-laden road to an extraordinary recovery. As a native New Orleanian (a 'Katrina Kid' as I was known at my evacuation school) and a Millennial, I realized as the 10th anniversary approached that nearly every undergraduate student across the country is a mid-to-late 90s baby. Yet, with opinions surrounding Katrina as widely colored and as deeply layered as our king cakes during carnival season, I did my best not to go into the interview series with a predetermined angle or scope for fear of skewing the story through confirmation bias. However, as I interviewed women and men from New Orleans for the 10th anniversary of Hurricane Katrina, I began to increasingly appreciate how their reflections were not solely concerned with the events surrounding the storm; not confined by Orleans Parish city limits; nor bound by the decade that has passed since Katrina made landfall on August 29, 2005. The reflections and predictions made by New Orleanians--who have witnessed first-hand how our nation's civic infrastructure works--span place and time. Every New Orleanian I spoke with was engaging, charming, and ultimately optimistic: a direct reflection of the culture's character and the overall positive vibes flowing from returning and rebuilding. But above all, every interviewee seemed to make the case that for all of the city's anomalous traits, New Orleans is just a microcosm of America. Katrina was solely the devastating Category 4 catalyst that blew away a Mardi Gras mask of 'joie-de-vivre.' And her aftermath unveiled the depths of the neglected inequality that has been allowed to fester for some time in cities across America. And so, in doing that spatial and temporal fluidity justice, this 10th anniversary feature hopefully has a scope wide enough to reflect the broad application the disaster - both natural and manmade - has for all of us as an American community, as we continue our attempts to reconcile and to recover. For many, the recovery was just as stressful, and often traumatic. As the floodwaters receded, so did national attention. Once the public sense of a city underwater with its residents stranded on roofs passed, major media attention steadily declined. Nevertheless, the waterlines (the haunting, mildewed markers on the exterior of flooded buildings indicating the water's height) remained. Livelihoods remained beleaguered. Thousands of families remained displaced and disconnected. The dignity of agency remained in jeopardy. Any kind of certainty remained out of the question. But with cultlike determination, the city and its people came back even when millions said they should not--that New Orleans' mere existence was an environmental hazard. And so, on the backburner of the national conscience as foreign wars, a recession, and a national election took precedence, the city emerged from the debris through the work of investors, visiting volunteers, and returning residents. Housing policy fights, liability investigations, disputes over federal allocation of recovery funds, and other equally important day-to-day worries, like when grocery stores, or beat police, might return to a neighborhood--all the 'dirty work' of reconstruction that allows for an eventual renaissance--toiled forward. 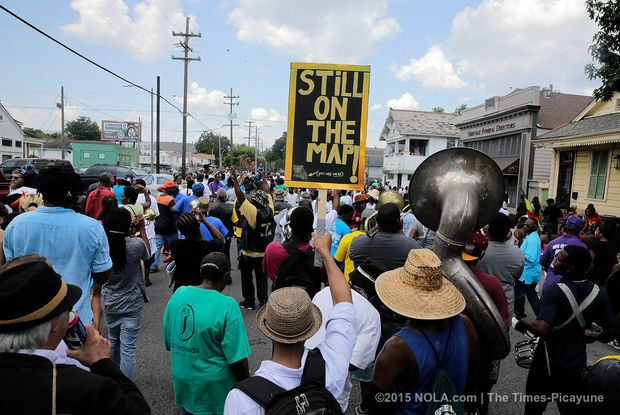 Ten years later, the restoration and renewal of New Orleans is a work in progress. Over 100,000 New Orleanians, mostly black, haven't returned home. Half of the city's black men are unemployed and 40 percent of children still live in poverty. 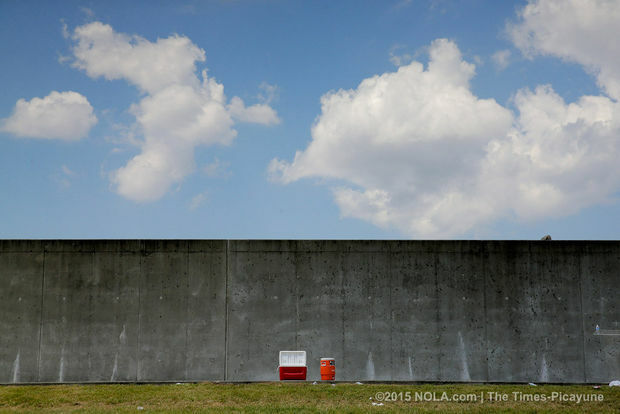 The Lower Ninth ward has seen only 37 percent of its residents return. But the progress that has been made is remarkable. A total of $14 billion has been spent to update the flood protection system. Chartered education reform, though controversial and incomplete in its experimentation, has been a boon. Before the storm, barely half of students graduated high school. Now 73 percent of students do. Before the storm, only 37 percent of those graduates went to college. Now college enrollment stands at 60 percent. The historic core of the city, while grappling with the ethics and effects of gentrification, is booming. Forbes ranked New Orleans #1 on a list of the fastest-growing cities since the Great Recession. Similar indicators of success have been extensively listed by nonpartisan data centers and politicians alike. Floods can do horrible things: drown homes, loved ones, and dreams; cause damage of biblical proportions and displace people for years. And levees can break; but it takes much more than that to break the will of a polis older than the United States itself. And like any other community in America, we're not perfect, us New Orleanians. 'Down here,' we're vivacious yet often consumed by our vices--looking for an escape from the routines of everyday life, finding any excuse for a festival. Others times we're a little too honest. Frustratingly for some and magnetically for others, our peculiar personalities can't be packaged or predicted, and our eccentric friend groups are too motley to label. For all the fuss, undeniably, we are an honorable, hospitable people, operating on the neutral ground between individuality and community, moving with a posture unworried by pretense, at a pace that for better or worse is undefined by outside expectations. It can be said people from New Orleans live by a motto of 'do you, but do right by others.' (It may be that very creed that allowed for the city's rebirth, which was propelled by its natives above all else.) We are unafraid to express ourselves and unafraid of the inevitable potholes that'll jerk us down our literal and figurative roads. And though we are wary of detached onlookers, we are unafraid of friendly strangers. In fact, we're curious about the stories behind their eyes and the dance moves they have in their latent feet, and hope more folks come to town. It would be selfish to keep all the fun and food to ourselves. At our traditional jazz funerals there's a little something called a second-line. After an initial somber walk to the grave behind the mainline of a brass brand, at the conclusion of the service mourners leave the burial site as the band crescendos from the steady thump of tubas to a jubilee backed by the joyful cry of trumpets. The transition is inspired by the soulful knowledge that celebrating a life lived is much more important than mourning its ending. It is in that spirit that New Orleans has moved on from the tragedy of Hurricane Katrina and, in spite of a global recession, rebounded powerfully as it enters its tricentennial. Americans forget exactly how things went down during and after Hurricane Katrina. It's understandable - forgivable, really. Who can remember the details of their own personal lives 10 years ago, much less the precise play-by-play and repercussions of a disaster that happened in a city contrarily nicknamed 'The City That Care Forgot.' And who decided 10 years since an event should merit more public attention than nine, or three? But however our arbitrary devotion to decade anniversaries came about, they're important because we've made them so. And so, we it owe it to our fellow countrymen and women, our brothers and sisters from other mothers who went through unimaginable tragedy, to refresh our memories and to set the record straight, so that we might not repeat previous mistakes as recovery efforts roll on into their second decade. Anniversaries are, in their essence, a point on a timeline meant to acknowledge and consider a communal milestone. More important though, is what we do during that reflection: as a nation, anniversaries, especially those of disasters, should be made up of more than commemorations and moments of silence. They should be moments of discourse. Moments in which we celebrate our resilience through hell or high waters, then challenge ourselves by asking if we have truly been doing all we can do as citizens with eyes aspiring toward a more egalitarian society. That would be the best way to redeem the destruction, and to make sure the souls who needlessly lost their lives did not die completely in vain. For those of us who have a god, let the motivation be the hope that those departed souls might be able to look down at their country in the coming years, and rest better in their eternal sleep knowing that at least their progeny have done the work to form a more humane and equitably prosperous version of the city along the Mighty Mississippi they all surely loved. I pray this 10th anniversary of Hurricane Katrina and its aftermath will prove to have been, not simply a commemoration, but a call to action. We have come far enough to 'laissez les bons temps rouler,' let the good times roll, once again. If we've learned our lesson as a city and a country, once the moments of silence end and the applause fades, we will roll up our sleeves and continue the cooperative work that has already begun.